I have been fortunate to witness the technological evolution that has brought us bio-identical signaling. I first met the people behind it six years ago, after my anti-aging, MD introduced it to me as he offered this particular technology to his patients in his office. It was a machine that had a nasal cannula attached to it and I sat in a comfortable chair and breathed through the cannula much like you see people do with oxygen, only I was not breathing oxygen. I didn’t know exactly what was going on but trusted this doctor and gave it a try. I personally felt the benefits right away and continued this protocol for about 8 weeks. But, driving an hour both directions several times a week was getting tiresome. My insurance did not cover this protocol even though it is an FDA registered Class 1 medical device so it was costing me quite a bit out of pocket to continue seeing the doctor and using the device in his office. I asked my doctor if the manufacturers offered a home unit as it was helping so much, perhaps I could contact them directly. My doctor was kind of enough to refer me to the owners of the device. I connected with them and ultimately acquired a home unit of my own which is a similar technology to the new improved device they offer today. 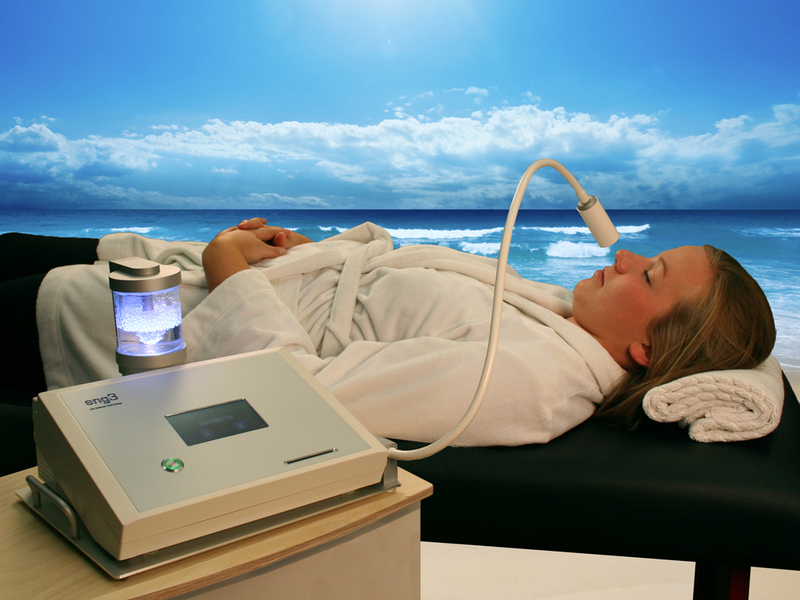 Once again they have a home unit available and a professional unit for doctors, spa’s and other wellness centers and there is now a distributor for this device located in the West Los Angeles area for those who are sincerely interested in learning more about it. The new generation of this technology is called NanoVi and it is a whole new approach to health and fitness which was recognized as “bio-identical” when precise testing verified that the device produced the exact same signal as is naturally produced by the body. The new improved technology creates more efficiency in the bio-identical signaling over the older device. The term bio-identical caught my attention right away because the term ‘bio-identical’ is of special interest to me due to the remarkable results that I have had using bio-identical hormones which now many main stream doctors are beginning to recognize to endorse as well. For me the value of bio-identical hormone protocols, such as The Wiley Protocol is something everyone should learn about and use if appropriate.. It just makes sense today to promote health by augmenting what the body naturally does rather than overriding it with drugs, vaccines or an unnatural level of any chemical substance. 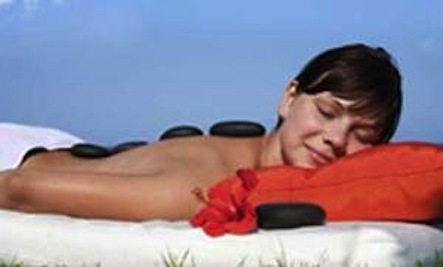 Doing things in a way that is ‘bio-identical’ acknowledges the fact that the body knows best. That said, sometimes it can use a little help – not surprising given the levels of over the counter, prescription drugs, vaccines, environmental toxicity and emotional stress that all of us are exposed to in our daily lives. One of the reasons for my excitement about this new version and decision to share it with my readers, is my personal experience with the earlier technology, which I have found very beneficial – both to humans and our animal companions. I included the use of this device in my book, “The Complete Guide to Holistic Cat Care,” which I co-authored with Jean Hofve, DVM, Our new book Paleo Dog includes the NanoVi as well.. Although the older technology that I have used for years and described in my book, cannot be called ‘bio-identical,’ but it does draw on the same principles. Damage from free radicals and their repair are ongoing activities – it’s a natural cycle. Problems only arise when the repair is not sufficient to counteract the damage. Now the NanoVi’s bio-identical signaling technology can be used to help the body boost repair activities by signaling oxidative response. I mentioned that oxidative stress is caused by free radicals and it might help to know a little more about where the damage is coming from. We tend to think of things like toxins and unhealthy food as sources of free radicals, and they are, but you might be surprised to learn that we produce free radicals with every breath. Free radicals called reactive oxygen species (ROS) are the result of metabolizing oxygen. This ROS generates ongoing damage that must be repaired if we are to remain healthy. You may think that taking anti-oxidants is the answer and it is true that they do neutralize free radicals to prevent damage. However, anti-oxidants cannot help repair damage. In addition, over doing anti-oxidants can be harmful because they can shut down your body’s natural signaling for oxidative response. It turns out that some free radicals, called ‘second messengers,’ are needed to trigger oxidative response. If second messengers are neutralized by too many anti-oxidants, your body’s repair mechanisms will never be called to action. Using a bio-identical signaling device ensures that your oxidative response kicks in, even if you have overdone the anti-oxidants. The actual products I am referring to are called NanoVi™ or NanoVi Pro™ devices. Both work the same way but the Pro device is more powerful so it takes less time for a session. When considering as to whether a particular protocol is right for you one can always look into the testing that has been done on the various protocols that come our way. Measures of oxidative stress damage and DNA repair are good ways of validating this particular approach. Whether your goal is to maximize vitality and quality of life or address an illness, improving cellular activity is essential. Diminished cellular function is both a cause and an effect of chronic or age-related illness. This makes it tremedously important to prevent or break any downward health spiral associated with oxidative stress. 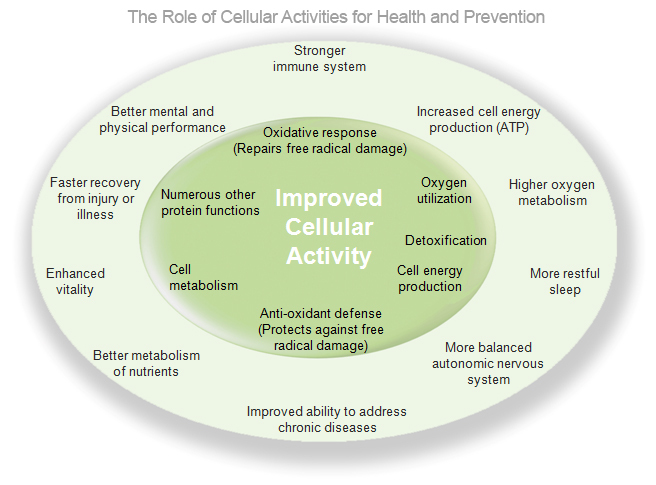 Whether the goal is disease prevention or to maximize vitality and quality of life, enhancing cellular response to oxidative stress is essential. The NanoVi™ device is used in clinics and homes by people wanting to improve their health and vitality. You inhale moist air from the NanoVi™ device through a nasal cannula. For prevention, sessions are often between 20 and 40 minutes, two or three times a week. People addressing one or more chronic diseases use the device much more frequently. There is no danger of overdoing it because it is a drug-free approach, called bio-identical signaling, that triggers your body’s natural processes rather than overriding them. It is easy to fit the NanoVi™ device into your daily routine. You can use it while you are relaxing, reading, working at at computer, talking on the phone, watching TV, or during any other stationary activity. You can also use it while working out on exercise equipment. Free radicals are unstable, highly reactive molecules. In our cells, they result naturally from cell metabolism and oxygen consumption and are also caused by exposure to toxins, stress, and other lifestyle factors. If the body cannot neutralize their negative impact adequately, free radicals cause damage at the cellular level. Free radicals, which are also know as Reactive Oxygen Species (ROS), can impact the body in three ways. Damaging – the free radicals react with surrounding molecules, usually proteins, including the DNA, and caused damage. This hinders the protein functions and related cellular activities decline. Neutral – free radicals react with anti-oxidants and are neutralized. In this case they have no impact on cellular function. Anti-oxidants are essential but it is important not to over supply the body with anti-oxidants because too many can hinder the initiation of response described below. Initiating oxidative response – free radicals emit a specific energy that is received by sensor proteins whose job it is to initiate oxidative response. This ROS-induced response is essential to all cellular activity because it is responsible for repairing free radical damage. The NanoVi Pro™ device works by triggering oxidative response, which is the body’s way of counteracting oxidative stress damage caused by free radicals. While free radicals are generally damaging, the final phase of certain free radicals acts as a signal for oxidative response. The excitation units inside NanoVi™ devices produce the same emission as the final phase of the radical. This mimics a biological process that triggers the body’s response to oxidative stress. Once triggered, oxidative response helps protect against and repair damage. Since the metabolism of oxygen and other factors constantly creates free radicals, strong oxidative response is essential to good health and vitality. The NanoVi™ device is easy to use. When the device is turned on it runs a self-test, then this screen appears. You simply enter the amount of time you would like by touching the numbers on the screen then press the start button. If you want the device to remember the time you entered, just touch the M. This stores it in memory as the default session time. C clears what you have entered. Water in the glass container should be changed once a week or every 5 hours of use, which ever comes first. To do this pull the glass container holder up, unscrew the container, replace the distilled water and reinsert the holder. There is nothing complicated or difficult with the NanoVi™ device. Lights illuminating the glass container can be adjusted with a remote control. You have many ways to adjust the colors including having them change or slowly transition, making them dim or bright, selecting one color or turning them off. If you go to sleep using the NanoVi™ device, you will appreciate how easy it is to turn the light off. If you are a health professional, you may be interested in using the NanoVi Pro™ in your practice. A recent study showed that double strand DNA breaks repaired 54% faster when performance athletes used the NanoVi Pro™ device as part of their training regime. A German diagnostics company, in cooperation with an Olympic training center in Vienna, did this study. A second area of research involved measuring aldehydes, which are a well-accepted marker for oxidative stress damage. Again, the NanoVi Pro device proved to be beneficial. On average, participants improved their score by 14% after just one 20-minute session. Think about the aging process, which wouldn’t happen if all cells functioned, and replicated themselves, flawlessly. We age because damage is not counteracted by the body’s repair mechanisms. It is the same with chronic or age-related diseases. The body is simply not able to fix things fast enough so cells become dysfunctional. Disease sets in when enough cells are not working properly. Tipping the scales in favor of repair is the perfect way to help the body heal itself. NanoVi™ technology gives a healthy person a boost, helps them stay vital, and slows the aging process. If you are unhealthy and have a condition associated with oxidative stress, improving your oxidative response could be a key part of your recovery. I should point out that chronic illness like heart disease, diabetes, cancers, sleep apnea, respiratory illness, fatigue and a host of other conditions are related to oxidative stress. If you want to know if your condition might benefit from this technology, just do a search on the web that includes the name of the condition and the phrase ‘oxidative stress’. You will see that oxidative stress damage, and the chronic inflammation it causes, has a role in almost every chronic illness. 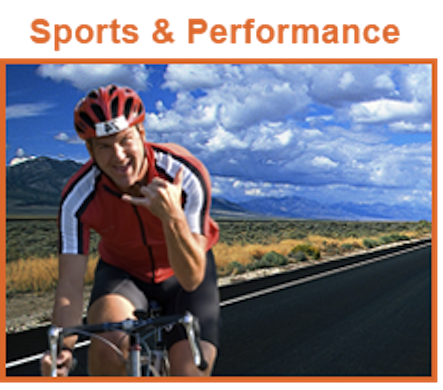 In addition to health and anti-aging, athletes use this technology. Performance athletes put a lot of stress on their bodies. They metabolize many times more oxygen that a normal person so they create more oxidative stress damage and have a greater need for repair and regeneration. All competitive athletes stress their bodies; the ones that recover faster can train harder and perform better, it’s that simple. This is why athletes rely on the technology and were studied in the investigation of DNA damage. The main reason I want to share information about bio-identical signaling with you is that an older form of this technology (before it could be called ‘bio-identical’) has been extremely helpful to me. The idea of coming out with a new technology that is even better seems almost too good to be true. I bought my device, which was then called ‘active air,’ six years ago after using it at my doctors office as I mentioned above. It wasn’t long before I decided I had to get a device of my own so that I could use it every day for even longer periods of time. I had had first hand experience, using it in conjunction with my personal nutritional protocol and supplement regime. I could feel the results, which included more energy. At personal appearances and speaking engagements, people tell me that I am defying the aging process and seem to keep looking young. I have used my device regularly for the last six years and wouldn’t want to be without it. I figured out how to give sessions to my cats as well which I explain in my Holistic Cat Care book. 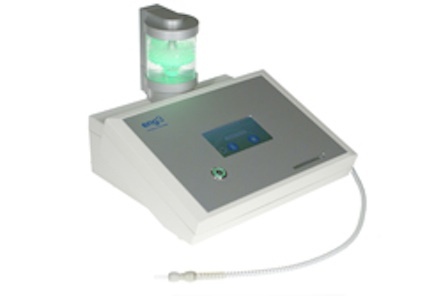 I personally feel, this device is one of the best anti-aging and recovery tools I know of! I am delighted that a new and improved version, the NanoVi is now available and I expect to see a lot more people taking advantage of this fantastic technology, as the terms bio-identical signaling are becoming more widely used and more people, especially ‘baby boomers’ will want to have this device as part of their own anti-aging and wellness protocols. You can consider getting the home version for yourself and your own doctor may even be interested in utilizing in his own regime or practice as mine does. If you would like to try it out and you live in the Los Angeles area we can give you a free demonstration of the NanoVi, just email info@zfit.com and just say Celeste sent you! I don’t have cats, but I own this machine and would love to get some tips for animals. Anything you can hint at regarding how to use the machine with a dog! I have not used it with a dog but I am sure if you contact http://www.eng3.corp.com they will be happy to help you. okay thanks, will do that. thought they told me they hadn’t figured out a pet method. how do you have your cat using it? I put the kitty in her carrier and covered it with a towel and just put the end of the nasal canula near her face and she actually leaned close to it to breathe the wonderful activated air. Thanks, that’s a great idea ….